Greek food and Rhode Island have had a rocky history in that other than the annual Greek festivals and fantastic home cooking from the Greek communty, the state is almost devoid of excellent Greek food. That is, until Kleos showed up on the scene. The owners of Kleos also own Rosalina, which has its own share of praise from patrons, so the bar was already set pretty high. Sure, there have been some Greek restaurants around for years in the Providence area, but many of them have mixed reviews and survived this long because they were the only game in town. 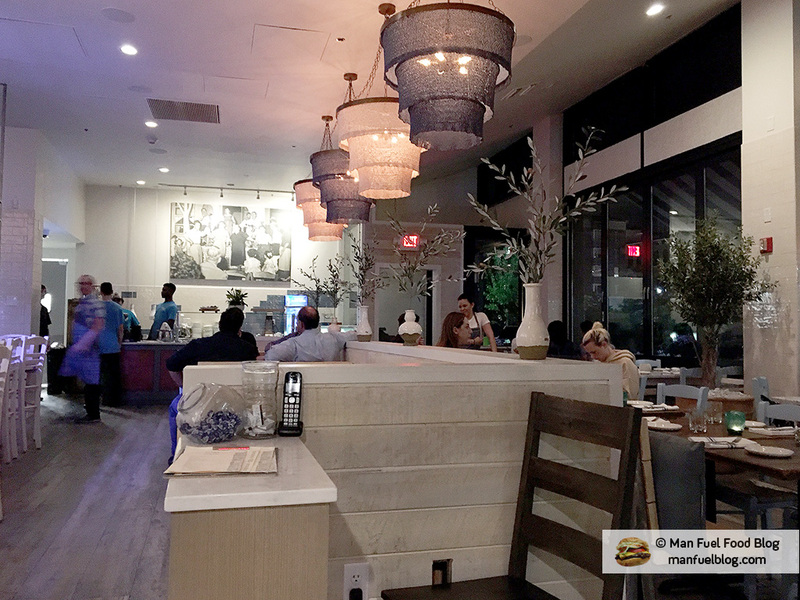 Kleos has put those restaurants in perspective and they will need to up their game if they want to compete with its authentic yet creatively gourmet take on Greek food. The sign and interior of Kleos is vaguely Grecian in style with some blues and whites reflecting the colors of the Greek flag. The design is modern, classy, and comfortable at the same time. Our server was very friendly, but a touch flustered. He wanted to make sure we enjoyed our meal and that he got us what we wanted, but we did find it hard to get his attention sometimes. Lastly, one of the hallmarks of classy restaurants for some reason is the idea that a server can just remember everyone’s order without writing it down. This always makes me feel anxious that something will be forgotten (especially when there’s a large party) and it’s awkward when the server needs to understandably return to the table to double check on what we ordered. I’d much rather people just write things down. Other than that, the atmosphere is laid back, friendly, and set for a leisurely pace. 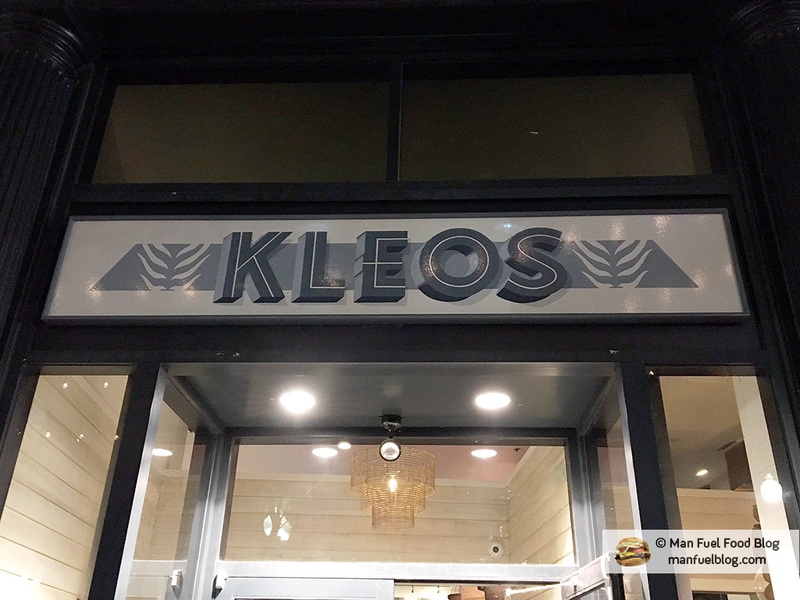 I was lucky enough to go to Kleos for the first time with a party of five people that were all willing to sample multiple items from the menu so we could really get a sense of what the restaurant had to offer. Practically everything delivered on wonderfully delicious Greek flavors and we thoroughly enjoyed ourselves to the point of physical pain. We ate way too much and regretted none of it. Dip Tasting – One common theme among Greek, Mediterranean, and Middle Eastern peoples is that they love their savory dips. The Dip Tasting at Kleos is a great way to start a meal in a way similar to those overseas involving pita bread and some kind of dip. The dips featured in this dish were (from left to right in the picture below): fava bean, feta and hot pepper, eggplant, beet, and tzatziki. All of them were really excellent, beautifully presented, and we all enjoyed sampling each of the flavors. The tzatziki is expertly made, but it does come with some of the other dishes on the menu, so just keep that in mind. 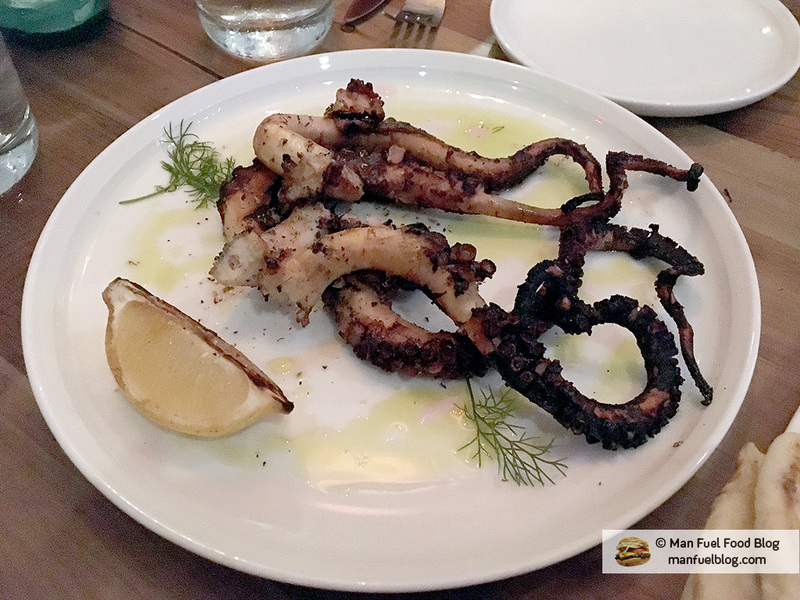 Grilled and Braised Octopus – I was most excited to try the octopus of all the dishes at Kleos because Greeks are known for their octopus. Everyone at our table agreed that of all of the amazing food we tried, the octopus was easily the most disappointing. The flavors were good, but the preparation fell short. Braising an octopus should make the meat tender and full of flavor, while grilling can be a tricky prospect for octopus, which can go from perfectly cooked to rubbery hard in seconds. Unfortunately, overcooked, tough, and rubbery, is where Kleos’ octopus landed on the spectrum of preparation. It wasn’t a bad dish necessarily, but it didn’t live up to its potential. Luckily, everything else we tried made up for this one weak spot in the meal. 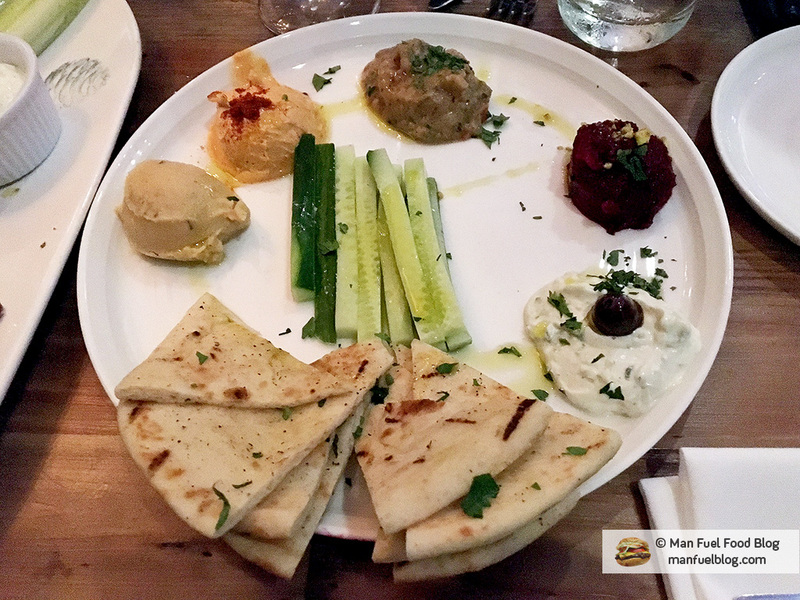 Kleos Meze – There’s only one logical choice when trying a restaurant for the first time with a group of five people. Order the hot meze platter so that you can all try as much of the menu as possible in one sitting. 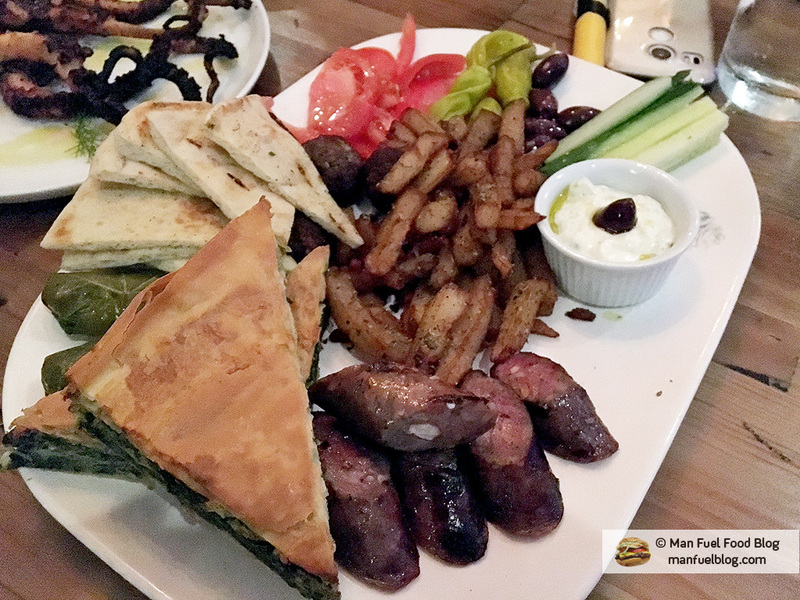 The meze consists of seasoned french fries, pita bread, tomatoes, olives, hot peppers, cucumbers, vegetarian grape leaves, loukaniko (Greek sausage), keftedes (Greek meatballs), spanakopita, and tzatziki dip. Overall, everything was pretty excellent. The fries were what I like to call “ugly fries,” which don’t look like the stereotypical golden french fry, but are still delicious. The vegetarian grape leaves were good as far as vegetarian grape leaves go. I personally don’t care for vegetarian grape leaves nor do I think they hold a candle to ones stuffed with meat, but for those that enjoy vegetarian grape leaves, these were good. The loukaniko is the best I’ve had and it didn’t taste too gamy like some other ones I’ve tried. The keftedes were very tasty in that they taste almost like a Middle Eastern Kofta, but Kleos adds cinnamon to their meat, making it especially Greek. The tzatziki sauce was fantastic. It had exactly the right flavor profile, which balanced the yogurt and seasonings. Last, but not least, the spanakopita really stuck out to me in the dish. I was genuinely surprised by how good it tasted. Next to my mother-in-law’s homemade spanakopita, this is some of the best one can buy out in the world. 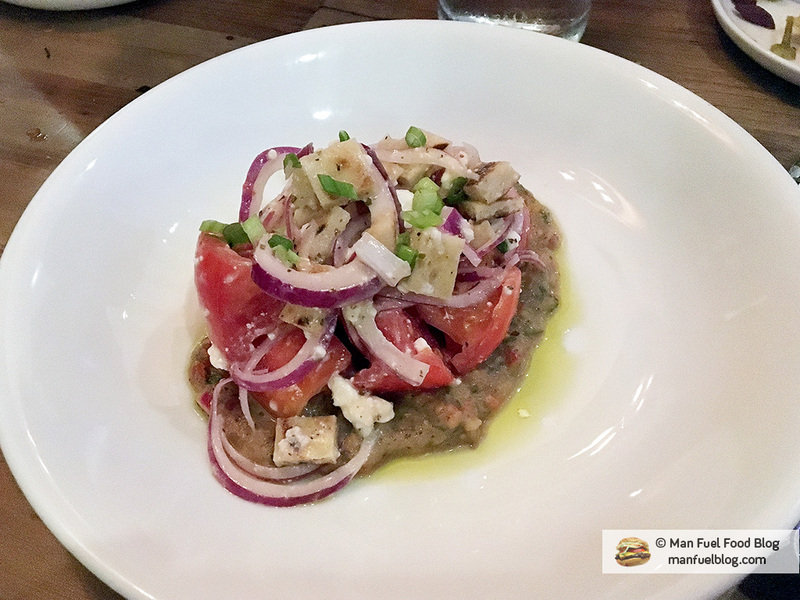 Panzenella Greca – The panzanella salad at Kleos looks like a simple salad, but even though the ingredients are simple, it delivers big on flavor. The onions, cheese, and tomato are dressed very nicely so that all of the ingredients shine, but it’s the bed of eggplant dip that the salad rests on that drives the dish home. I don’t particularly enjoy eggplant that much, but even I absolutely loved this salad and the dip. 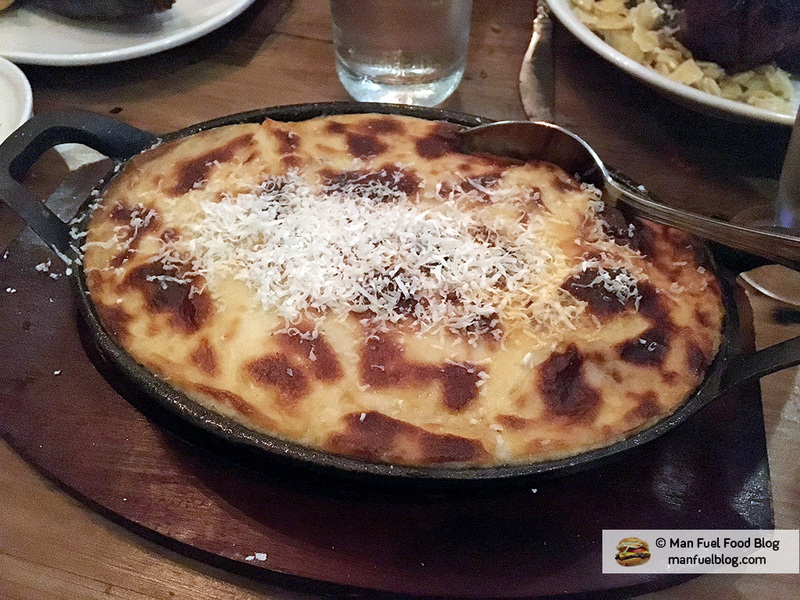 Pastitsio – Pasta lovers beware of Greece’s most popular pasta dish, the pastitsio. It’s the Greek version of an Italian lasagna dish featuring penne pasta, ground beef mixed with tomato sauce, spices, and all topped with a creamy, rich, bechamel sauce. By all accounts this decadent pasta Kleos serves in a cast iron dish is too delicious and heavy not to share with the table. The prominent spices in the dish are a bit of cinnamon and a lot of nutmeg. As someone who is personally a little sensitive to the distinct flavor of nutmeg, I found it flirting with the edge of excess, but that didn’t stop me from devouring scoop after scoop. A must try. 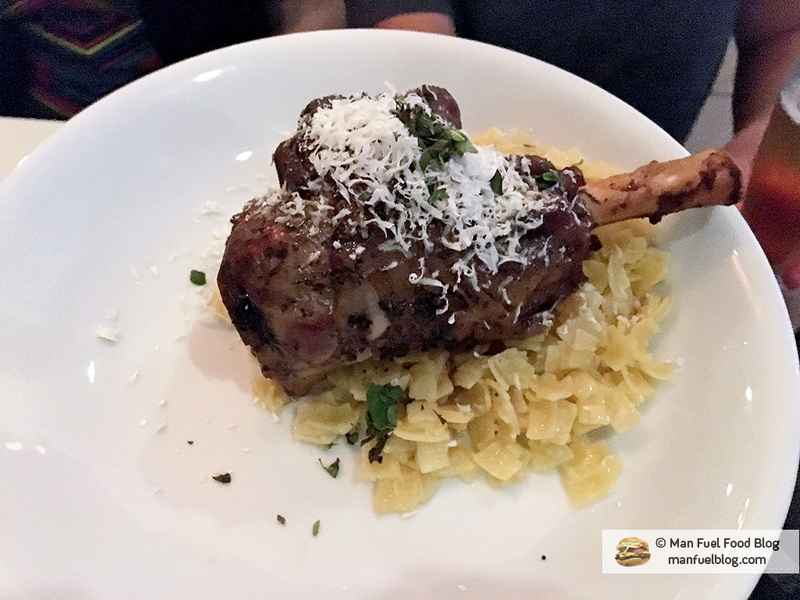 Lamb Shank – Ordering a bone-in shank of any kind at a restaurant brings out the inner caveman in most of us, but unlike the cave people of old we don’t have to eat a tough hastily cooked piece of meat. Kleos cooks their lamb perfectly. It’s has a nice layer of almost crispy crust on the exterior while the interior is tug off the bone tender. The lamb isn’t very gamy either, but still has all of that notable lamb essence that identifies it as something other than beef. It is sure to please lamb lovers as well as those on the fence about lamb. 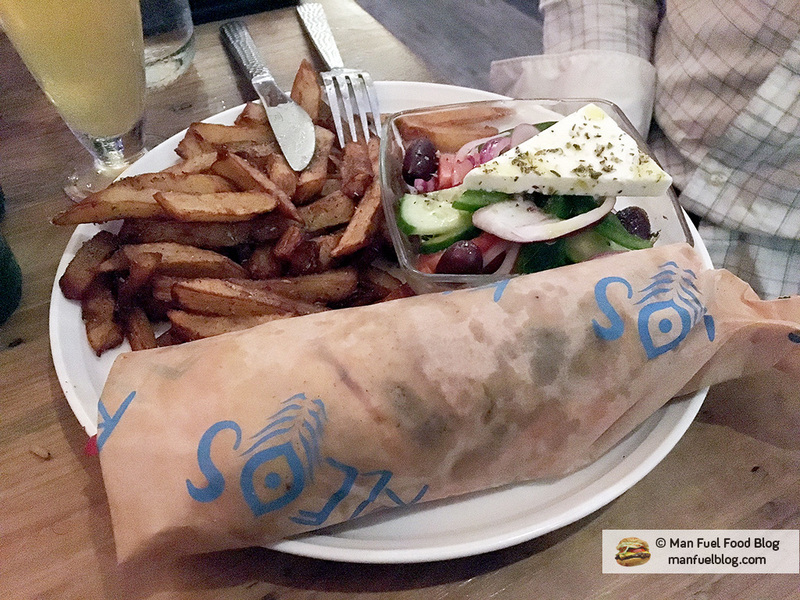 Gryo – What Greek restaurant is complete without serving gyros? Kleos understands this by not only serving a traditional gyro sandwich with a salad and a side of fries (some restaurants in Greece serve the fries inside the sandwich, but that’s too much for me), but they also make their own gyro meat in house. Yes, that means it doesn’t taste exactly like that spinning cone of super processed delicious meat found at festivals and pizza shops, but it still tastes great. It goes to show that a gyro without over processing and fillers can still deliver excellent gyro flavor. Scallops – I don’t know where Kleos sources these absolutely gigantic scallops, but they are perfect for this dish. 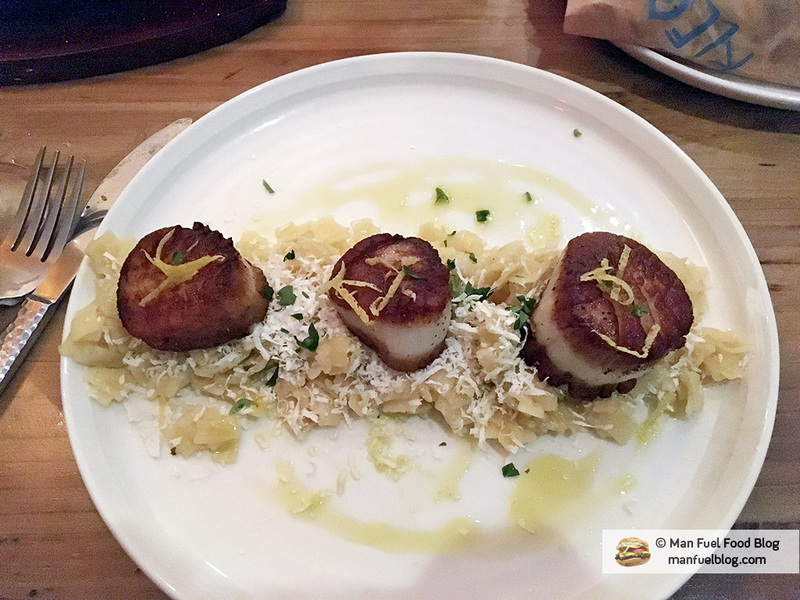 The massive scallops allow the chefs to sear both sides with a beautifully crispy crust while somehow still keeping the interior perfectly tender. The scallops themselves are the stars of this filling dish, but the pasta underneath also shines with an old world, homemade flavor in its simplicity. The pasta is very simply boiled al dente before seasoning with butter, salt, and cheese. The only improvement to this dish that would make it go from fantastic to absolutely phenomenal would be if the pasta didn’t clump together so much. Regardless of that, the dish is still delicious and any seafood lover would enjoy it. Dessert – No pictures, sorry! We tried the baklava and the loukoumades. Baklava is a famous Greek pastry of layered phyllo dough filled with nuts, cinnamon, sugar, and topped with a sweet sugary syrup. The construction of Kleo’s baklava is very nice. It’s not too soggy or too dry, however, personally I found it extremely sweet (it almost burns) and overloaded with cinnamon, which overpowered a lot of the flavor. The makings for a really great baklava are there, but some of the ingredients need to be reigned in a bit for better balance. The loukoumades are fried dough balls coated in a sweet syrup similar to that of the baklava. Once again, these were very nicely made because they were fluffy and crispy, but also heavy on the cinnamon. Out of the two, I would recommend the loukoumades to share if you have any room for dessert though. Kleos is a fantastic restaurant to get Greek food in Rhode Island and is probably the best in the state with an atmosphere perfect for casual or formal dining. Don’t be fooled by other impostors claiming to serve Greek food because there are extremely few that actually do a good job of it like Kleos. The food itself is wonderful with all of the classic flavors of traditional Greek food, but also expertly prepared and presented with a modern twist. I would highly recommend Kleos for those seeking great Greek food in the area and I will definitely return as soon as I can. Great Tips! An informative post and I’ll be sure to check it out!